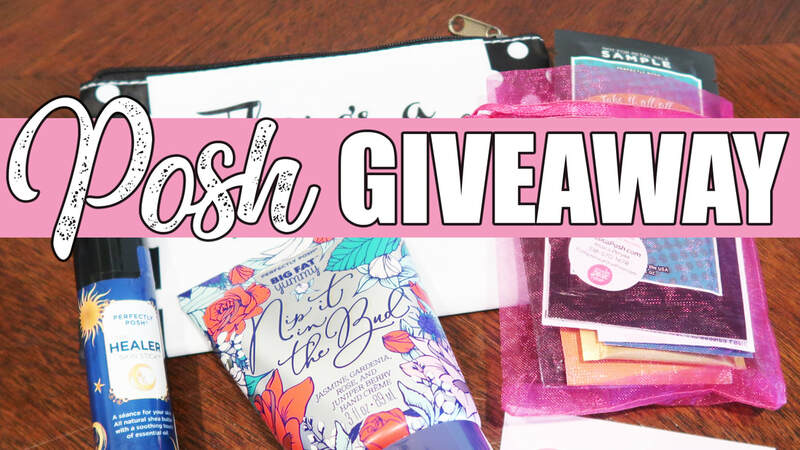 I'm partnering with Jessica Posh to do this Perfectly Posh giveaway, including 2 full sized items and an assortment of sample items! I absolutely LOVE Perfectly Posh. If you haven't checked out my review of the products she sent me yet, head over to watch, comment what product you'd like to try and then make sure to enter the giveaway below! Contest runs until 5/7/18 at 11:59:59pm. To enter, you must be 18 years old, live in the United States and be subscribed to the Simple Wife, Simple Life YouTube channel. One (1) winner will be drawn by 5/8/18 end of day and will be contacted via the email address and name that you provide. To claim your prize, you will need to provide a shipping address within the United States. This promotion is in no way sponsored, endorsed or administered by, or associated with, Instagram or Facebook. 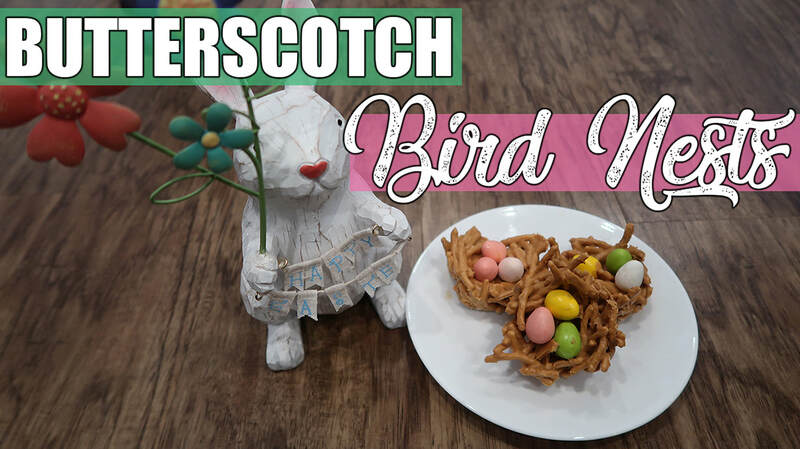 I was on the hunt for an easy and fun spring snack to do with the kids when I ran across butterscotch haystacks and figured it would be fun to turn them into bird nests since Easter is right around the corner! It may not be spring quite yet -- and we maybe had snow on the ground as recently as yesterday -- but Jack and Alice spotted some dandelions out back so I know it won't be long! 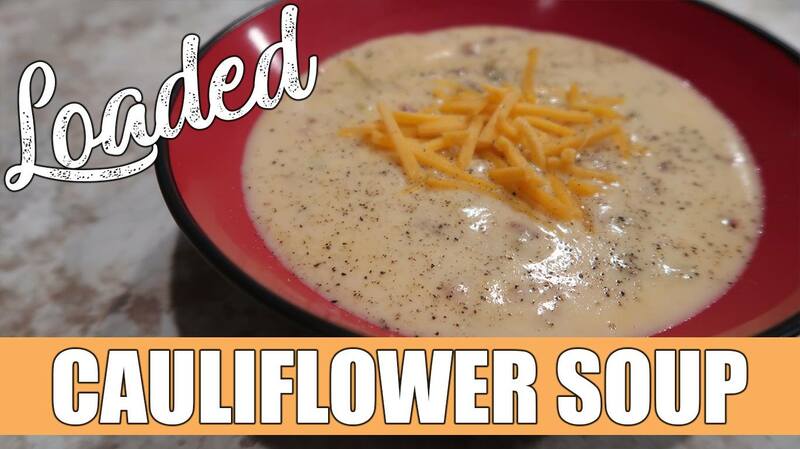 Enjoy this fun recipe (video) and let us know what you think! We did this in collaboration with Stephanie from This Lexington Life (video here) and Stevie from Stevie's Life (video here), who are both likely much more savvy in the kitchen than I am, so check their videos out as well! Measure and pour chow mein noodles into a bowl. Combine peanut butter and butterscotch chips in a microwave safe bowl. Microwave on high for 30 seconds. Stir. Microwave again for 30 seconds. 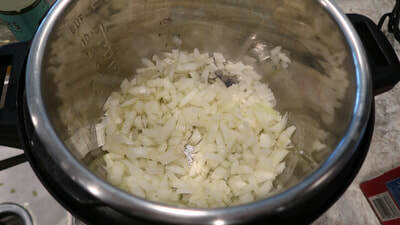 Stir until combined and all chips are melted (about 3 intervals). 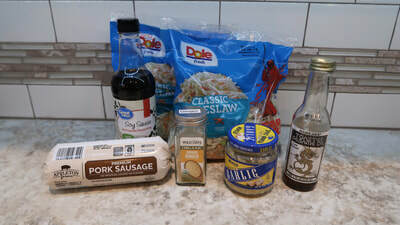 Pour butterscotch/peanut butter mixture over the chow mein noodles. Stir carefully until combined. 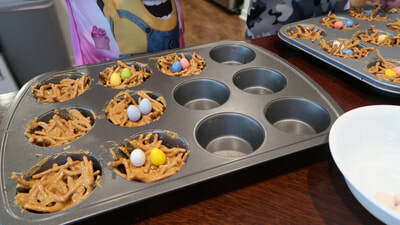 Spoon mixture into a muffin tin that has been sprayed with nonstick spray. Use fingers or a spoon to make a divet in the middle of each one so that the eggs will fit. 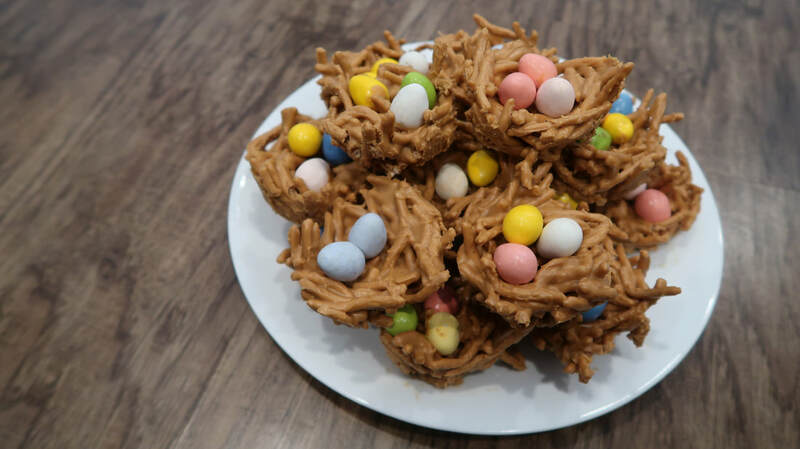 Add 2-3 chocolate eggs to each nest. Allow to harden (placing in fridge) and then pop the nests out of the muffin tin & enjoy! 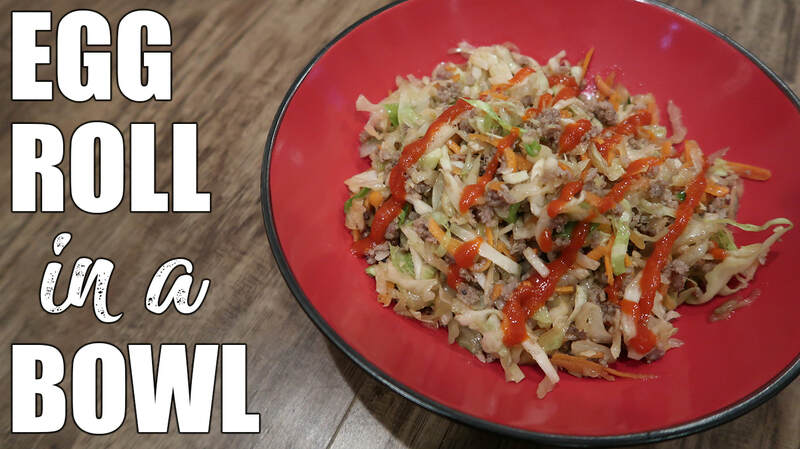 ​One of our favorite and MOST asked for videos in recent months...crack slaw (or egg roll in a bowl, depending on who you ask). 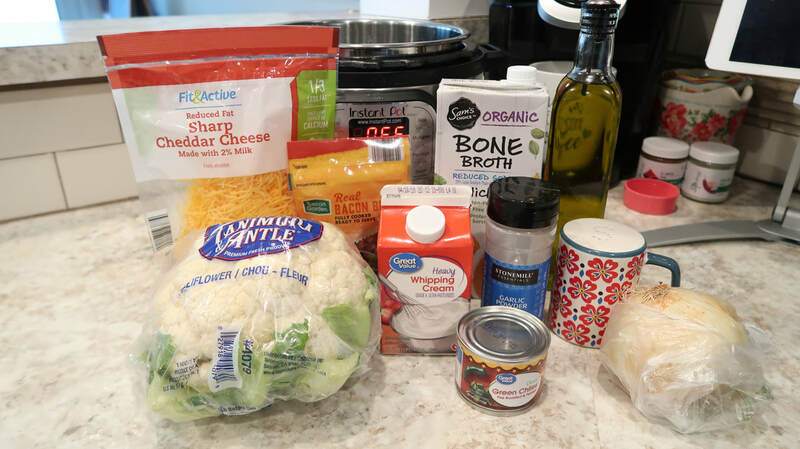 We make this multiple times per month because it is QUICK and it is DELICIOUS. 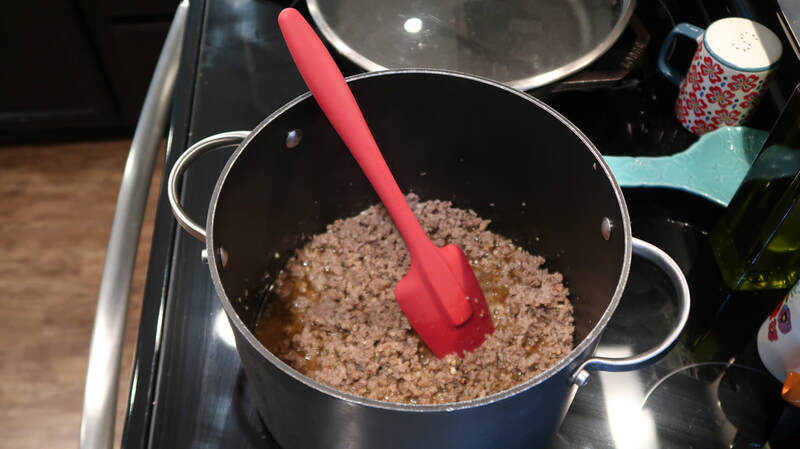 Brown meat with the garlic, seasame oil, soy sauce and ginger. 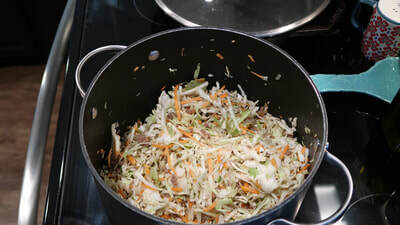 Once cooked, add the coleslaw mix. Combine well and let simmer for 5-10 minutes until the mix cooks down to desired tenderness. 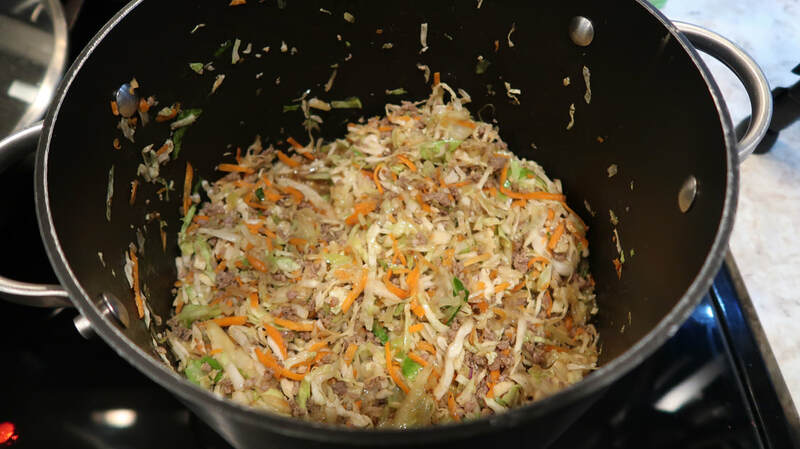 Serve with additional soy sauce and sriracha on the side! When my friend told me that she made this soup and that it tasted exactly like potato soup, I'd be lying if I said I wasn't at least a bit skeptical. Needless to say, I wanted to try it for ourselves and holy moly! 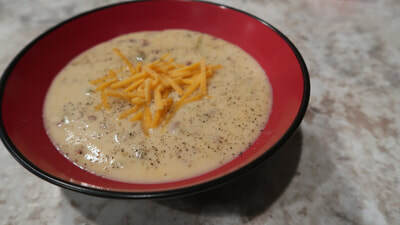 It tastes exactly like creamy potato soup! This will be added to our regular rotation of keto/low carb meals for sure. Even the hubby and kids liked it. 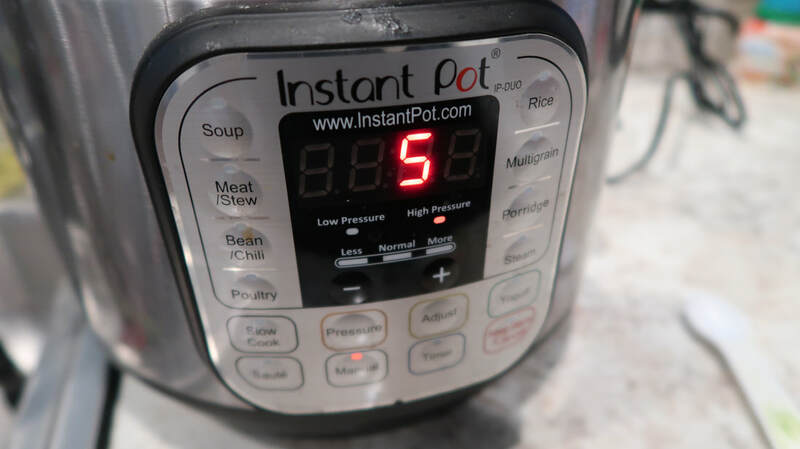 Heat the olive oil in the Instant Pot on SAUTE, high heat. Add the chopped onion and cook until the onion is soft and starting to brown, about 4-5 minutes. 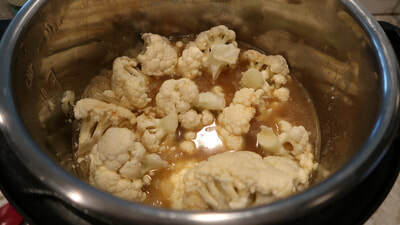 While the onion cooks, chop the cauliflower, including the stems. Add chopped cauliflower, chicken stock, garlic powder, and salt to the Instant Pot and set on MANUAL, HIGH PRESSURE for 5 minutes cooking time. 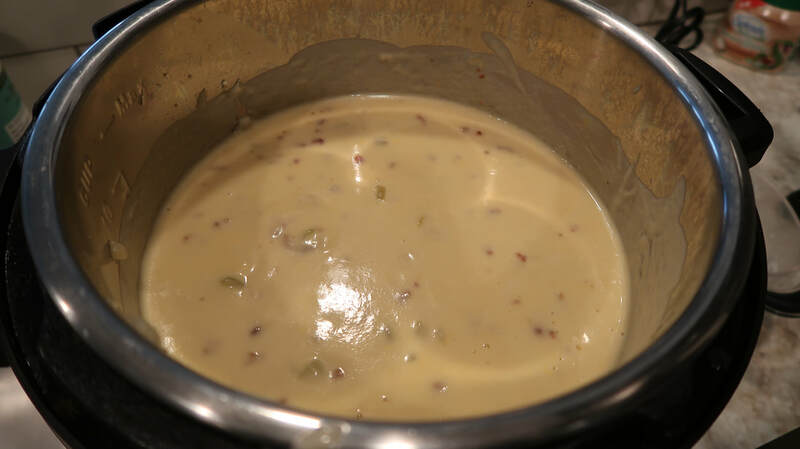 While the cauliflower cooks, prep & measure the cheese, heavy whipping cream, bacon and green chiles. Serve hot, with more cheese and bacon on top if desired! Transparency: the last few days (and today) have been HARD. My body is demanding rest but my to do list is demanding attention. Videos to record. Laundry to do. Homework to help with. Dinner to cook. Groceries to deliver. If you know me, you know I thrive on order and to do lists. But days like today my lists overwhelm and cause anxiety on top of the already negative feelings I’m experiencing, both physical and mental. So I’m drinking some tea. (And then some coffee.) After that, I hope I can muster the energy to take a hot shower and go from there. ​Life with chronic illness is no joke some days. Today just happens to be one of those days. So I got up. I showered. I did my hair and makeup, any semblance of energy that I had stored at that point being used up. So then I sat, my to do list mocking me. I stared into space for what could have been 5 minutes or an hour, contemplating why my body felt the need to do this to me. Feeling sorry for myself. Then I got up. I recorded a video. I made lunch for the kids, through the brain fog and exhaustion. I threw in a load of laundry, attacking the easiest things on my list first so that I could get a feeling of accomplishment in an afternoon full of anxiety and being let down by my body. I was able to get some things done, this is true. And at some point, I gave up on the rest of my list and I laid down in my bed. The rain was coming down outside and I snuggled into my pillows watching TV. This is how I spent the rest of my evening, trying not to feel guilty at all the things that went undone. Some days are hard...and we just have to push through it, knowing that tomorrow is a new day. Hoping that we have more energy, less pain, a clearer mind. Embracing who we are and what we are capable (or incapable) of while trying not to let the guilt and anxiety take over. ​I live with chronic illness, but I cannot let it define me.